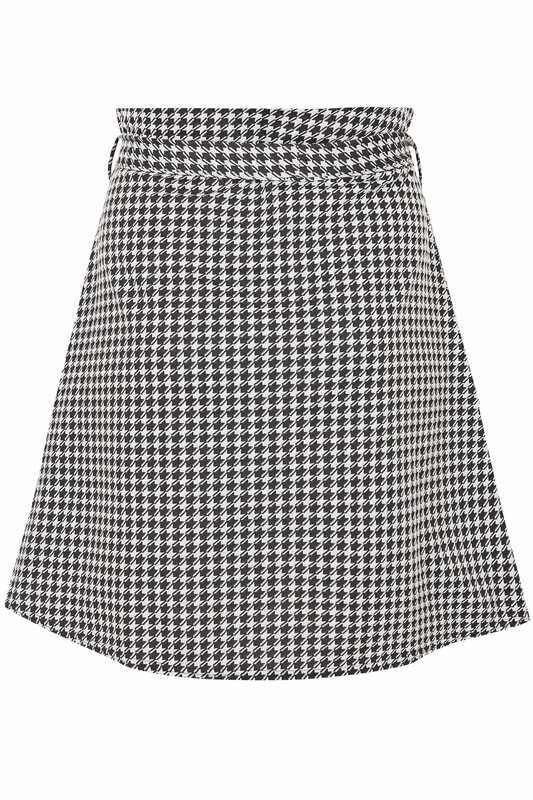 Channel the season's trend for classic checks with this dogtooth print skirt. 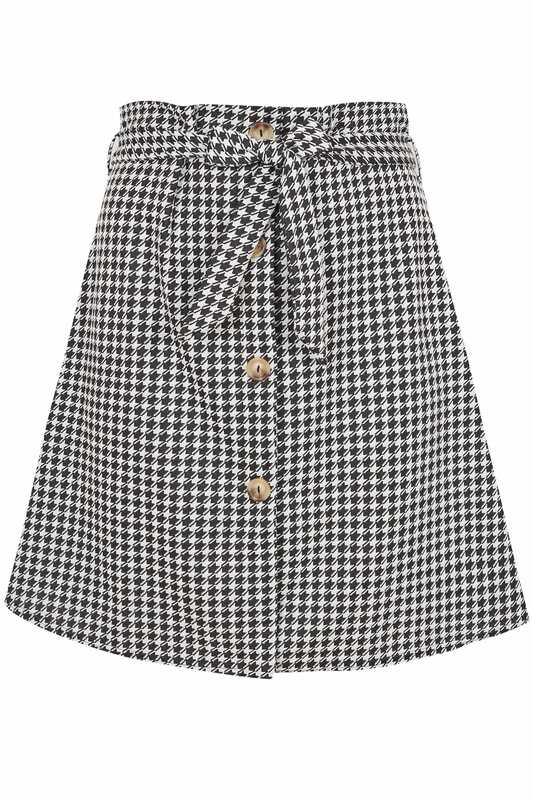 With a contemporary high-waisted paperbag design, it features a detachable fabric waist belt and a mock horn button placket for added style points. 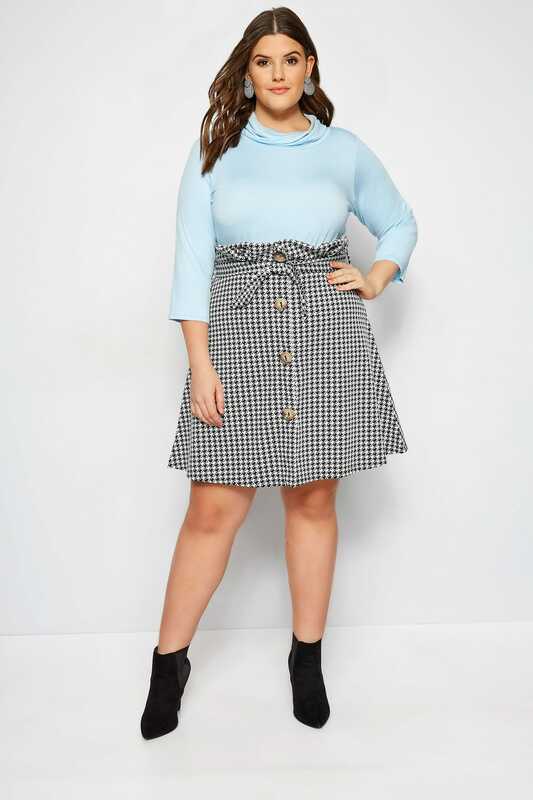 Great for both work and play, simply tuck a turtleneck into it and add tights and ankle boots for some oh-so-mono-chic. 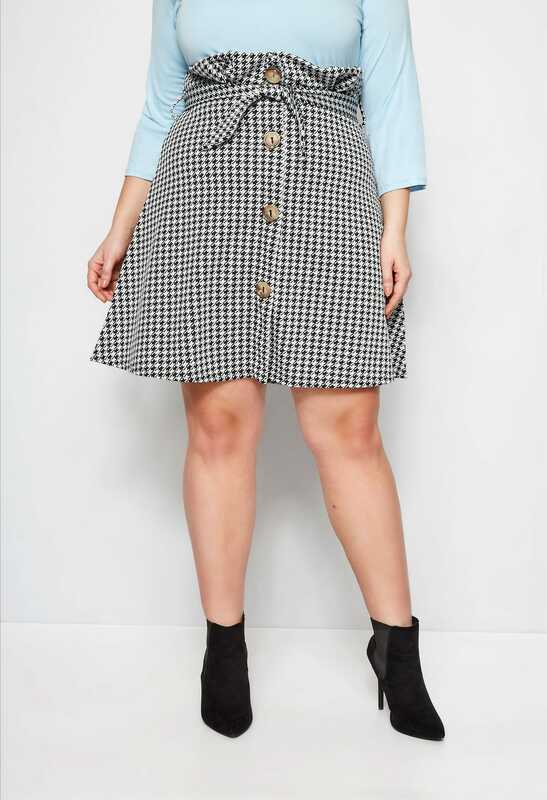 It'll keep your wardrobe in check with this season's trends.